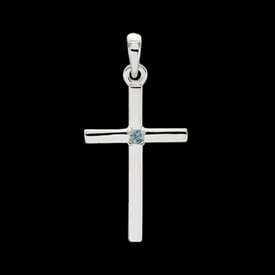 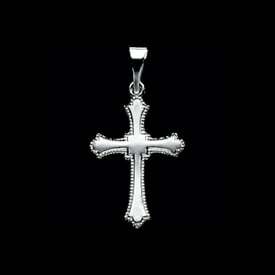 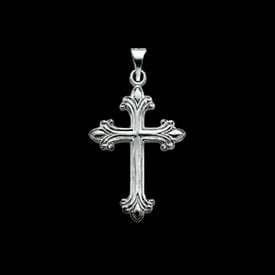 Platinum Modern design diamond cross pendant. This cross is set with a 1/5ct round center diamond, SI 1 Clarity, G-H color. 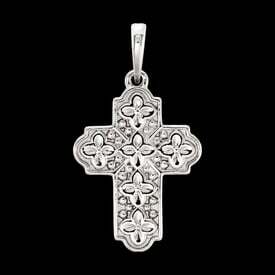 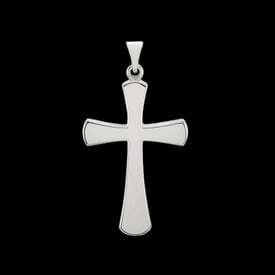 Cross pendant measures 25mm in length by 17.5mm across. 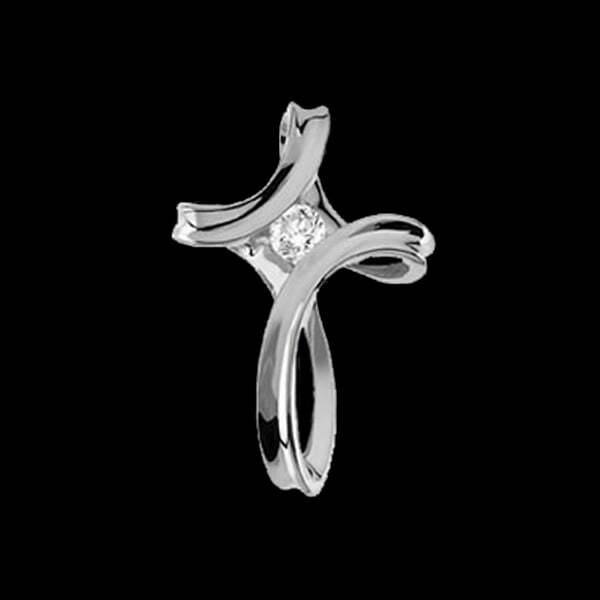 Very nice diamond cross.